Raw unfiltered apple cider vinegar is a tremendously helpful product be found at your local WholeFoods or any neighborhood wellness center. A popular usage for apple cider vinegar has been for weight loss. I have enjoyed the benefits related to improved digestion and skin care, so I am advocate for the product. Also it makes water taste better, in my opinion. 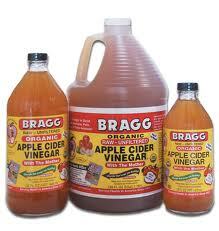 The link below from FoodMatters outlines all the benefits of apple cider vinegar, which are numerous. What product would you like to share that has benefited you personally? Please talk back, it may help someone!